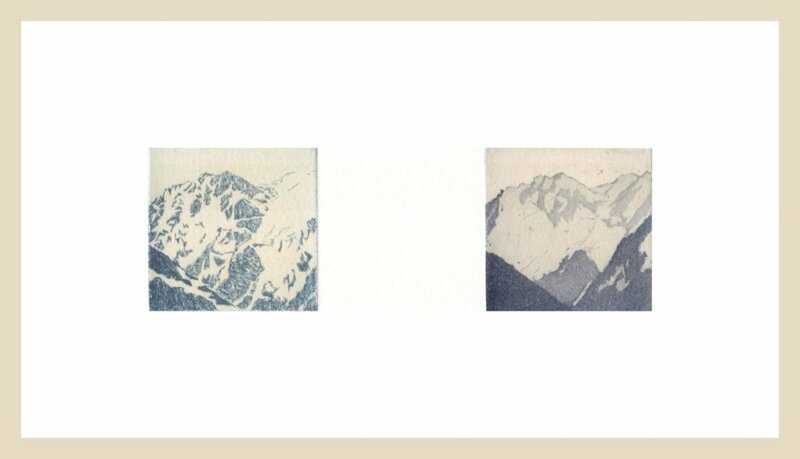 Scimitar Journey is a series of very small diptychs (each image is 2inches square) that follow my helicopter trip to the Combatant Col field camp. 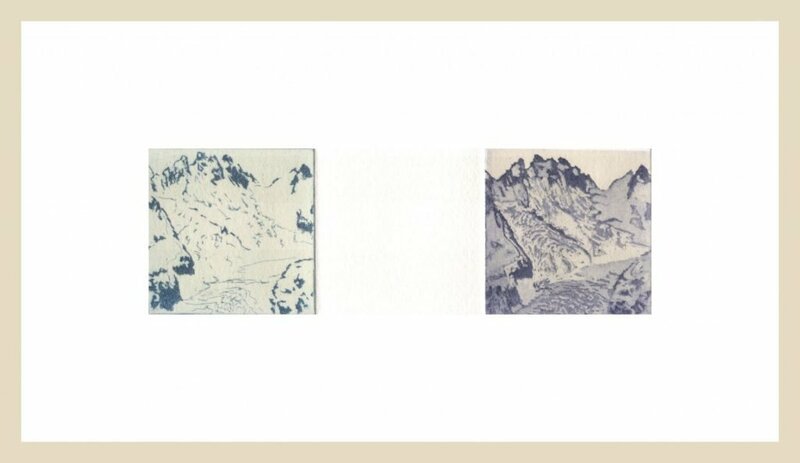 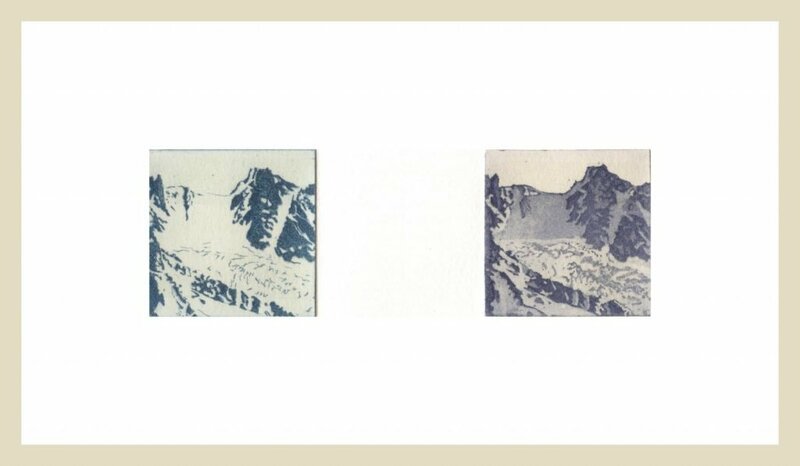 The same view is printed side by side, one line etch, one aquatint. 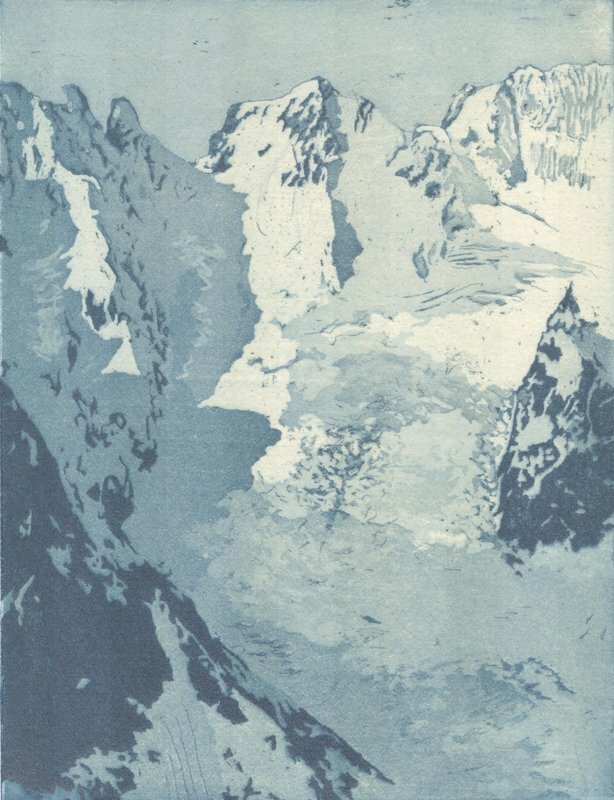 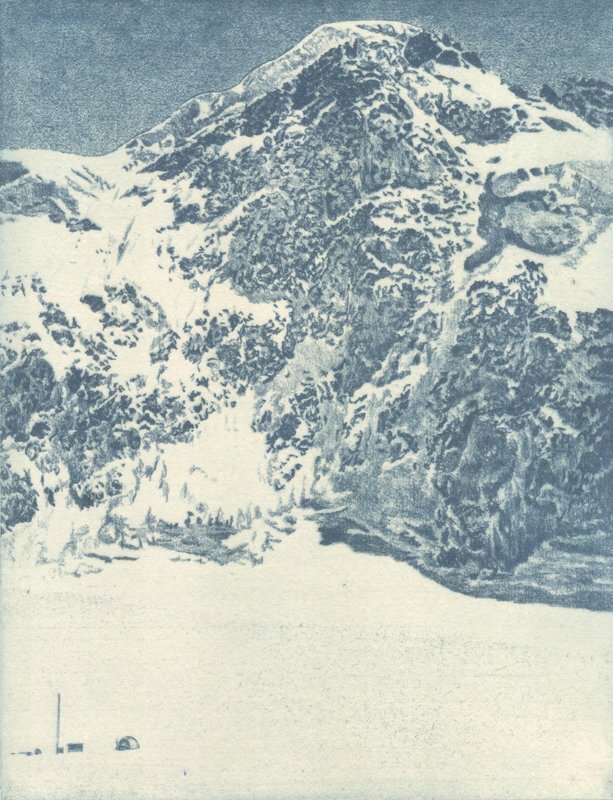 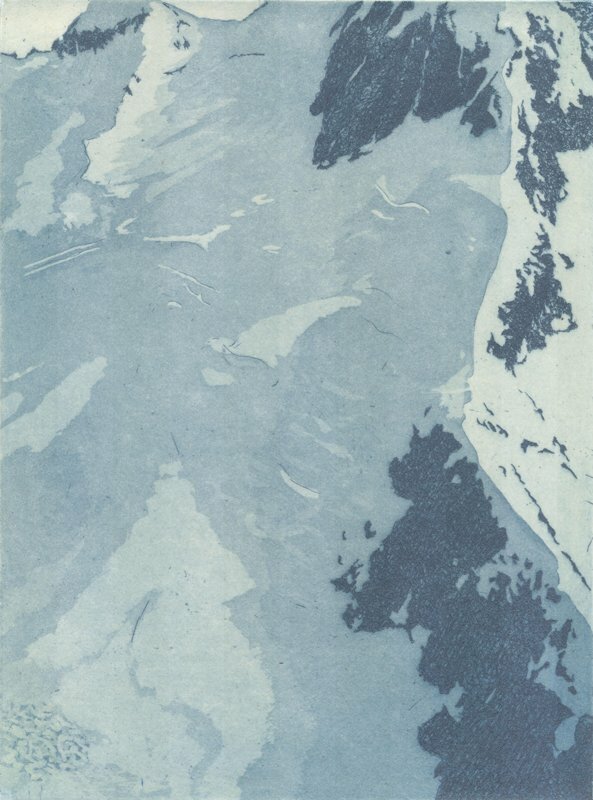 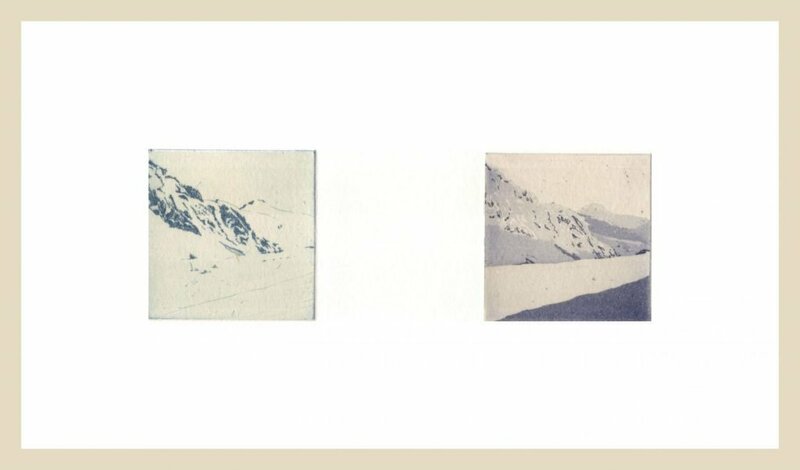 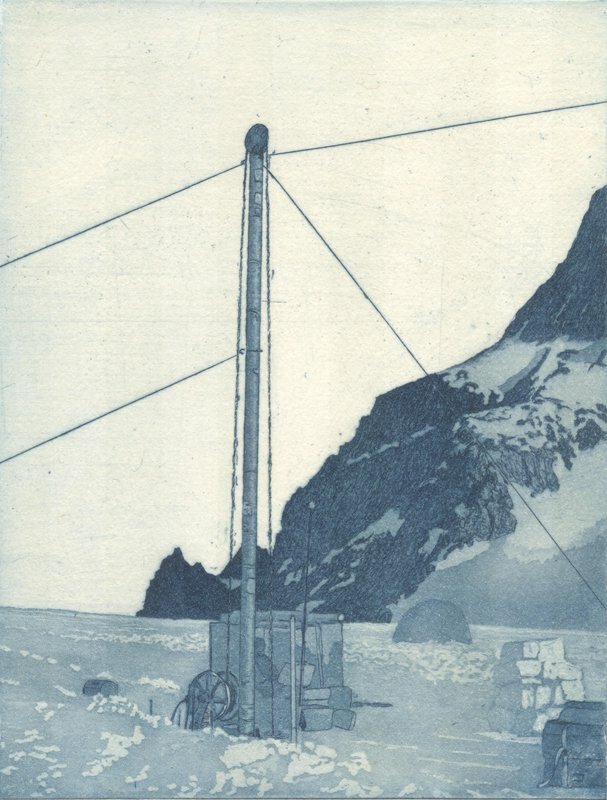 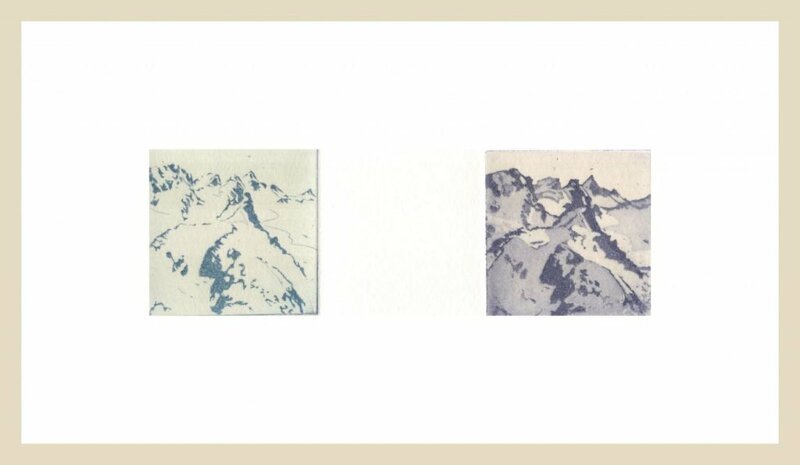 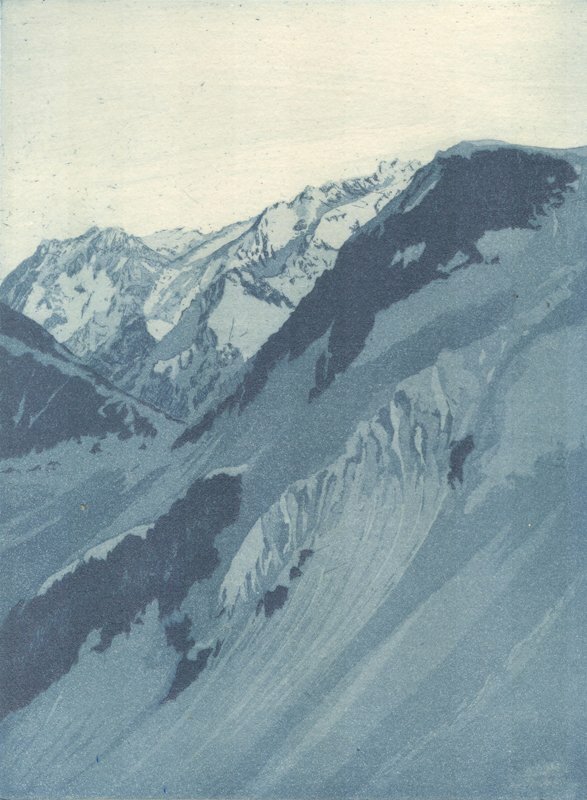 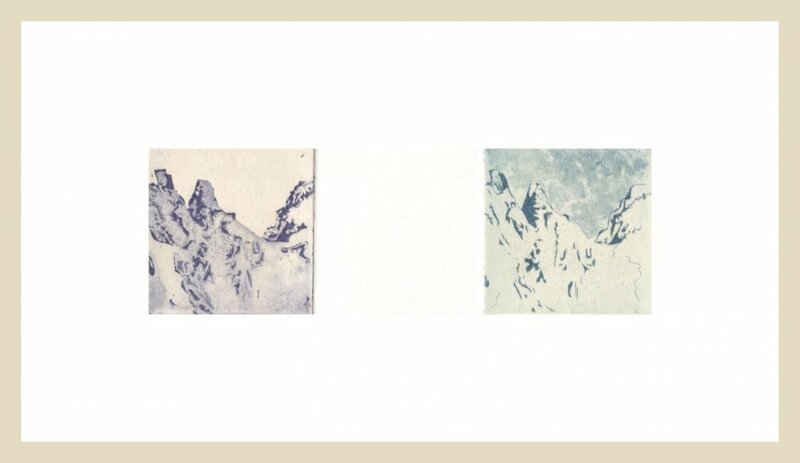 Cropped Coast Range is a series of etchings from my visit to Combatant Col field camp on the flank of Mt Waddington.